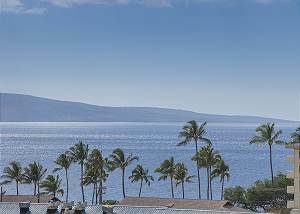 Maui's south shore offers consistently beautiful weather, world class snorkeling, beginner surf spots, nightlife, fine dining, and shopping all within a span of just a few blocks from the ocean. Walking around Kihei, you can find anything you are looking for to make your Hawaiian holiday great. Take a surf lesson at the cove, eat breakfast at Kihei Caffe, and snorkel at Charley Young's beach to live it up Kihei style! After your fun filled day at the Kamaole 1 Beach Park across from Kihei Alii Kai condominiums, return to your comfortable and well-appointed vacation rental to close out a gorgeous day in paradise on your private lanai and watch the sun leave for the night. 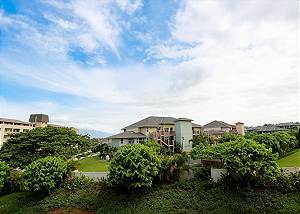 This fine Maui resort provides a relaxing atmosphere for you to find your bliss on Maui. Sit back on our lounges and read a book by the pool in the sun and lay the day away. If you want to be active, our property features to impress. If you're in the mood to get a workout in on your vacation, Kihei Alii Kai has some excellent options for you. Go for a sunrise walk on the beach, and then cool off in our refreshing glassy swimming pool. Gather friends and family around our barbecue area and have a picnic in paradise with loved ones or even make new friends out of neighbors at this wonderful Hawaiian getaway. Whether you would like to hang by the pool, dine outside on your private lanai, or explore the island Kihei Alii Kai Resort has both the location and the property facilities for you to make the most of your vacation time on the magical island of Maui. Come jump in our crystal clear swimming pool and soak up the Hawaiian sun at the Kamaole beach across the street at popular Kihei vacation spot Kihei Alii Kai!